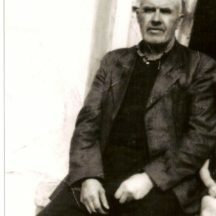 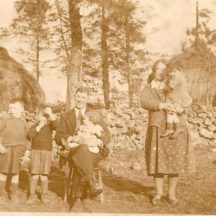 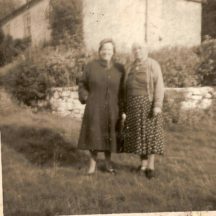 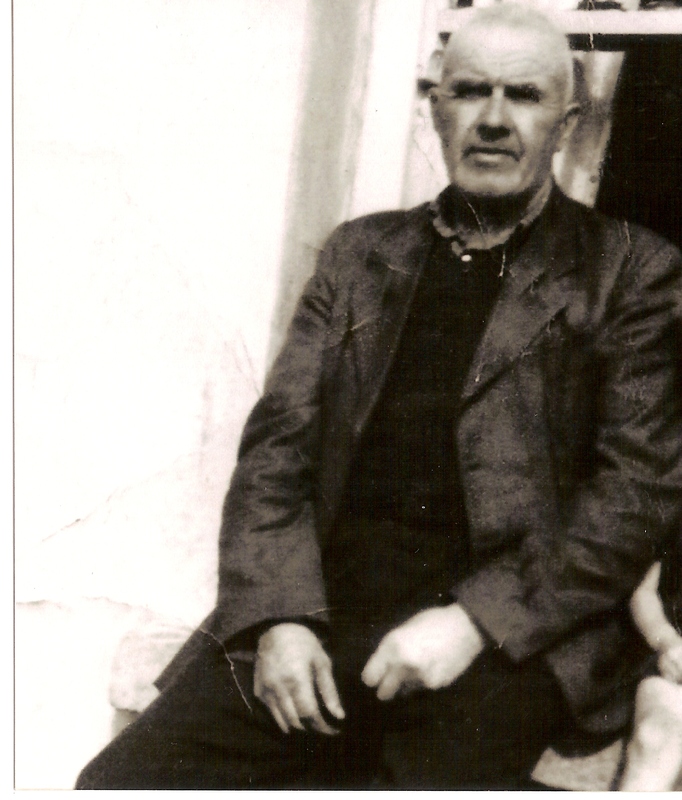 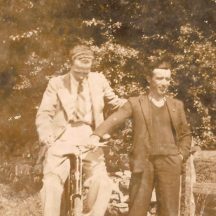 Several years ago, there was a shop in the village of Barnaderg, called Keanes which had been handed down through the Keane family. 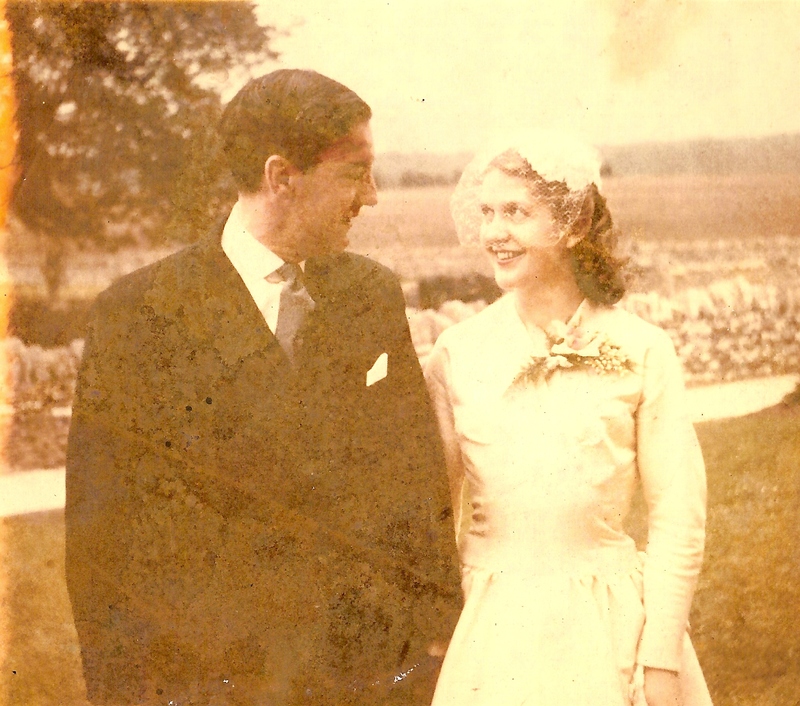 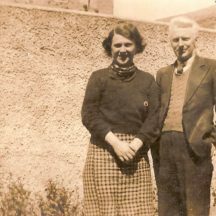 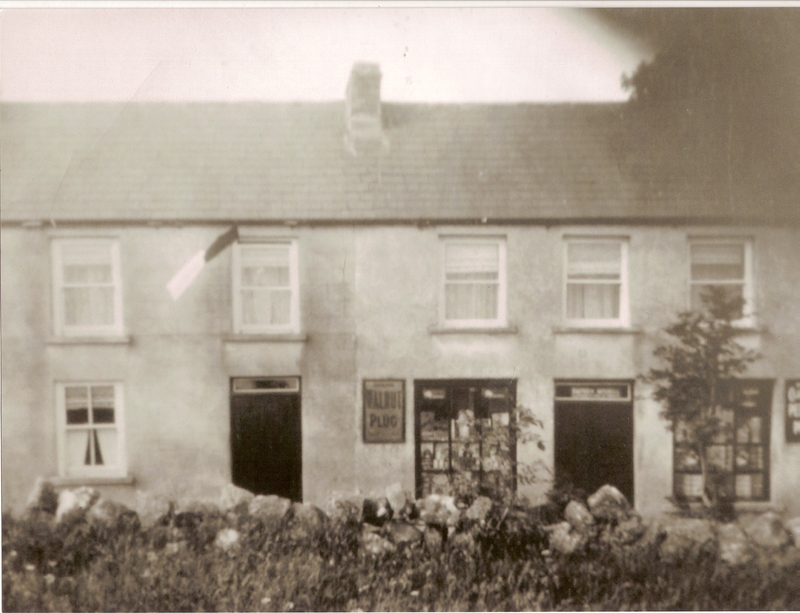 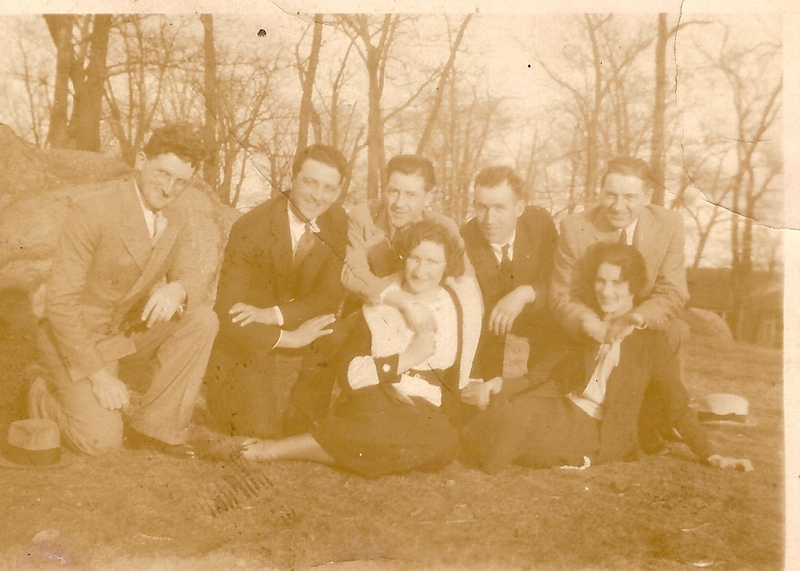 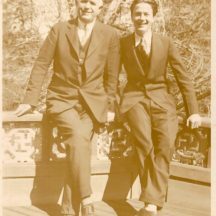 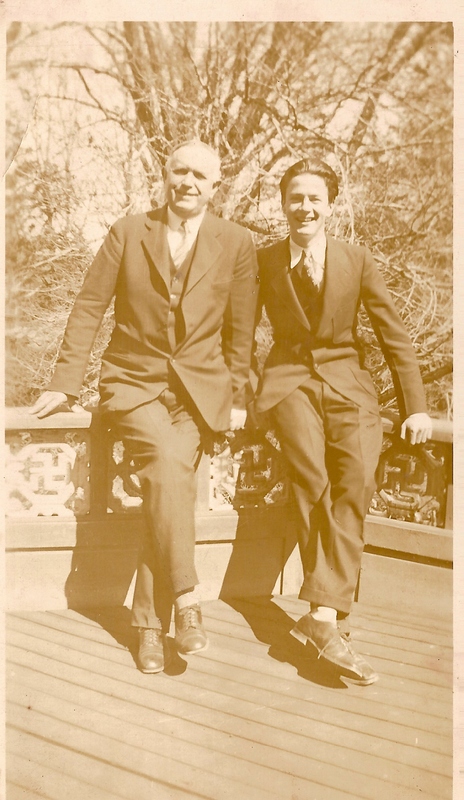 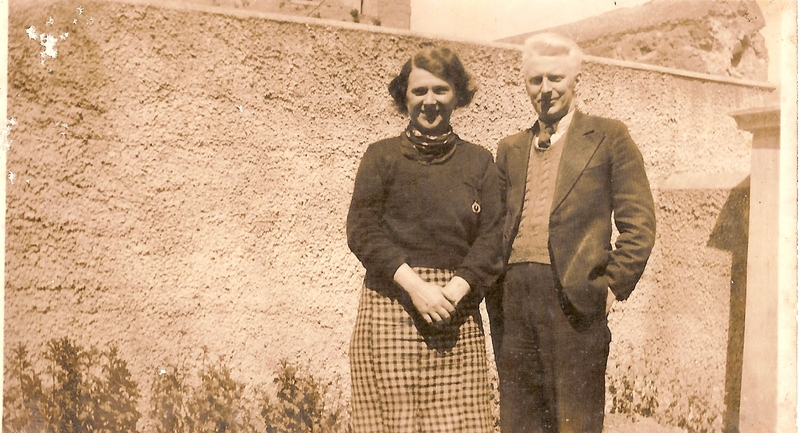 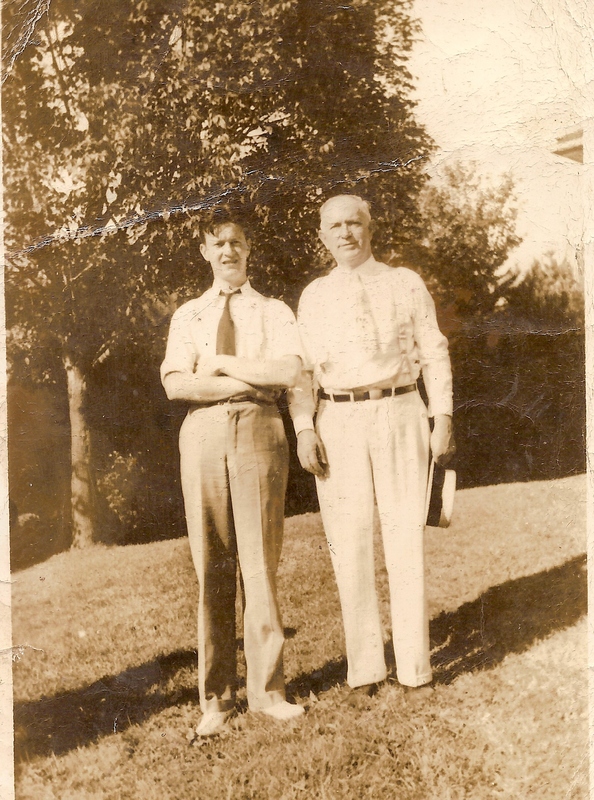 The last surviving owners of the shop were brothers John and Frank Keane and their sister Annie. 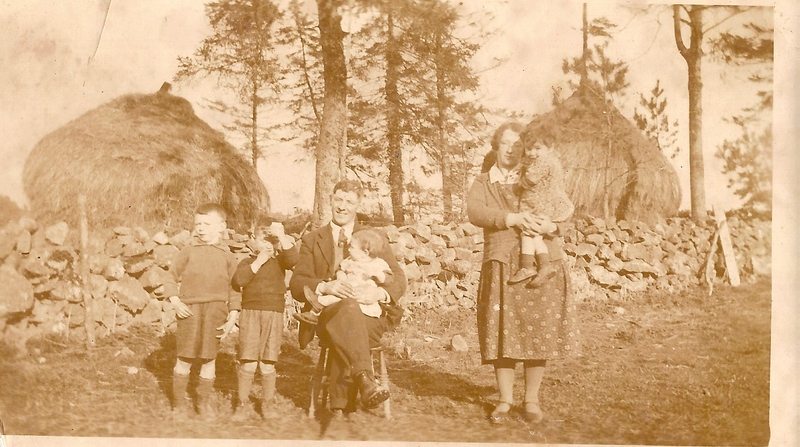 The family who were also farmers, were well liked in the locality and were very generous to the people of the parish donating some land for a pitch to Barnaderg N.S. 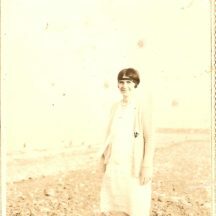 at one point. 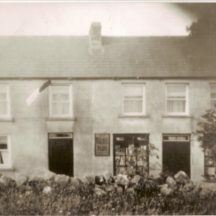 Keanes’ shop was a grocery shop with other goods such as farm supplies sold there. 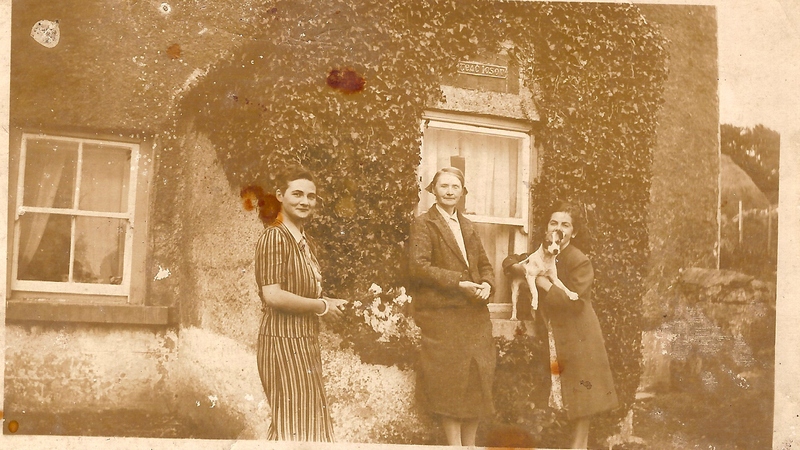 It was also a well-known visiting house where people gathered at night to play cards and chat.1 Eventually the family died out and the house fell into disrepair with their furniture and belongings still in situ and like many such buildings became a magnet for late night drinking etc. 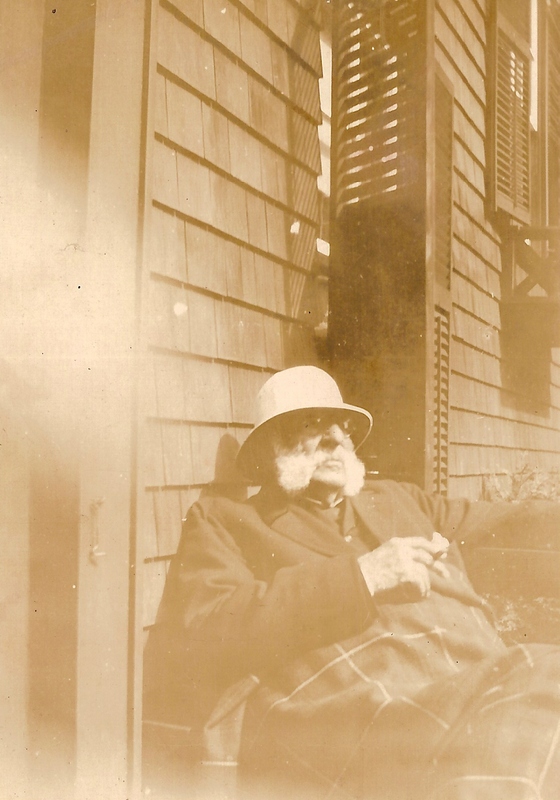 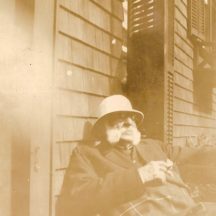 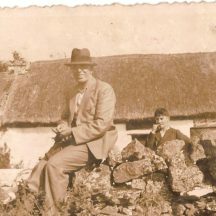 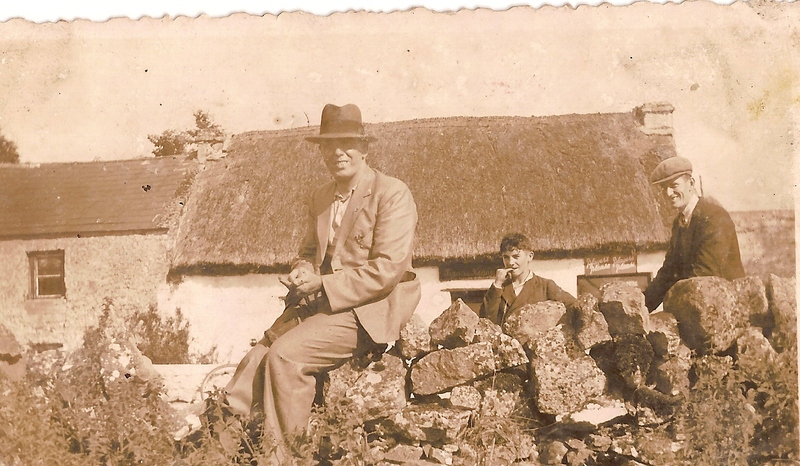 Passing the house one day, former Heritage Society member Sylvester Cassidy saw the door open and went to close the door for security reasons. 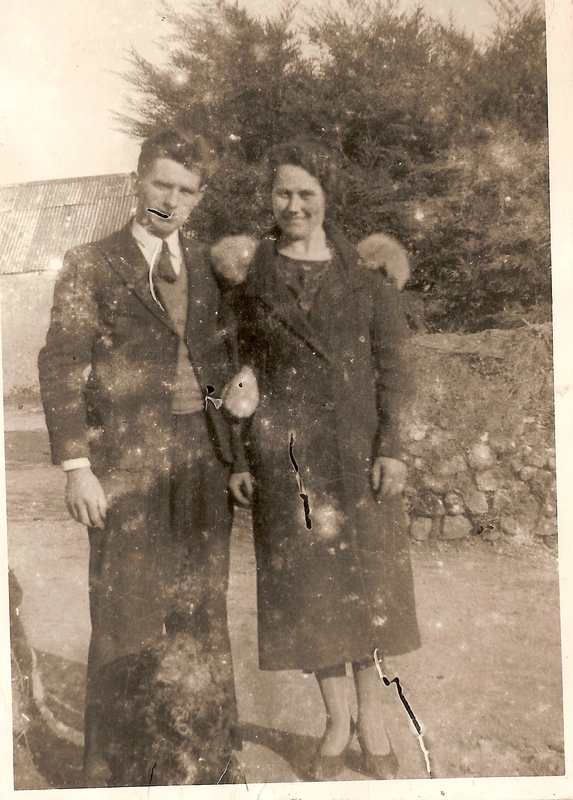 He was saddened by the state of the house and came across photos that were scattered all over the premises. 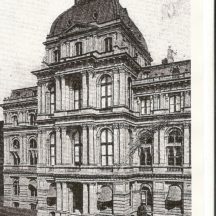 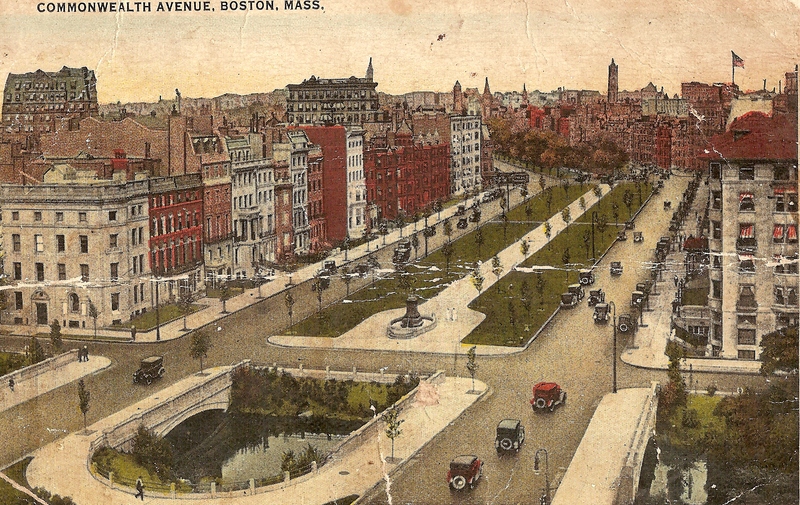 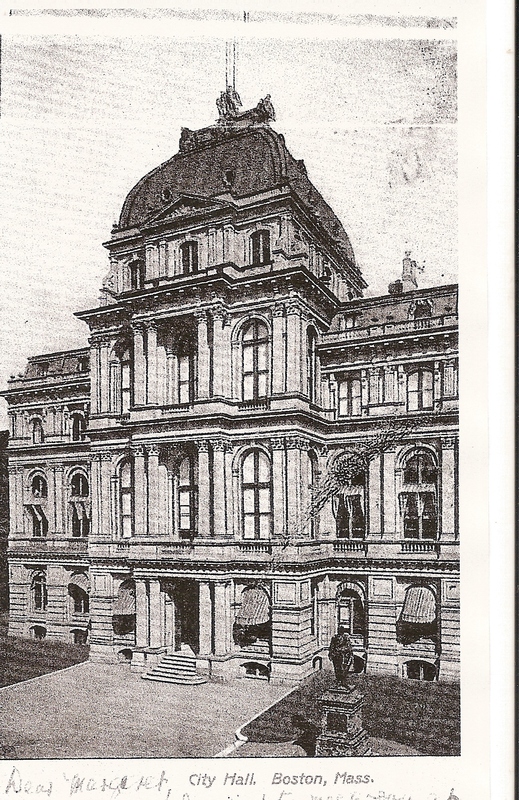 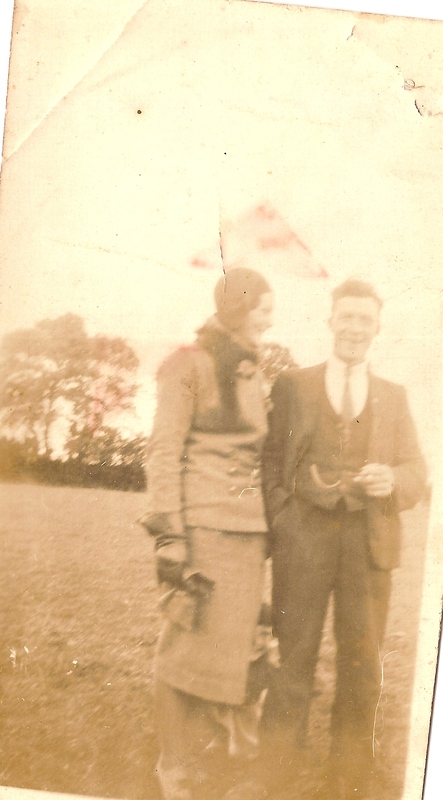 Thankfully, he had the foresight to gather up the photos and bring them to the Heritage Society. 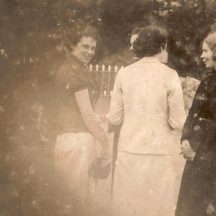 The committee decided to store them and try with the help of locals to identify some of the people in the photos. 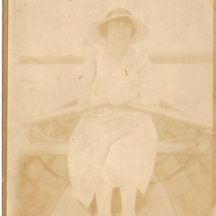 The photos that follow are those same photos and as is obvious, many are taken abroad. 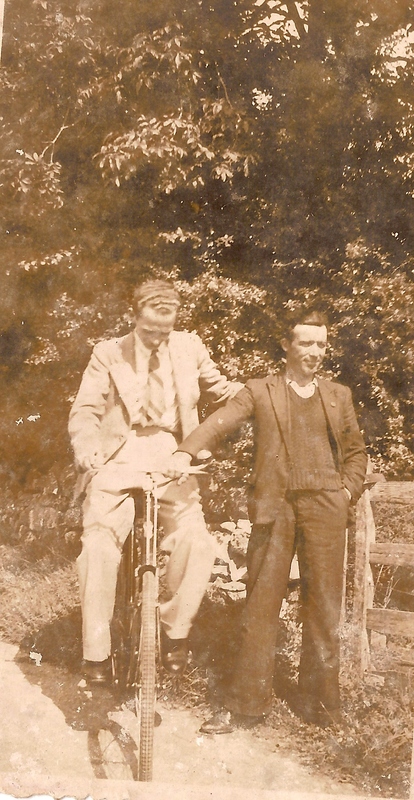 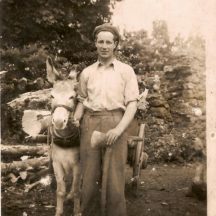 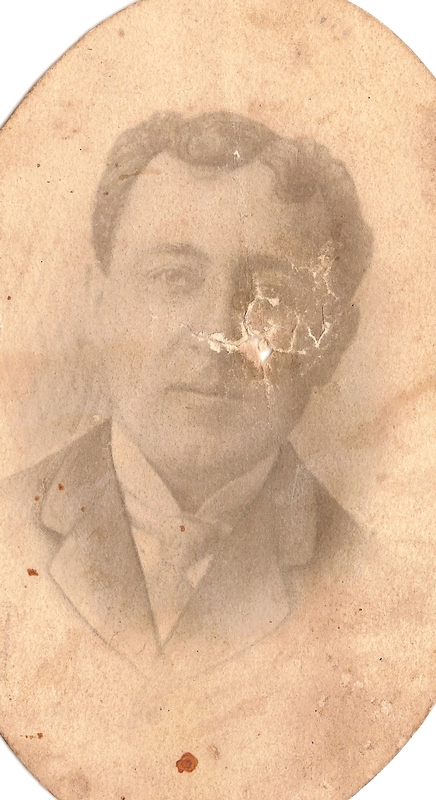 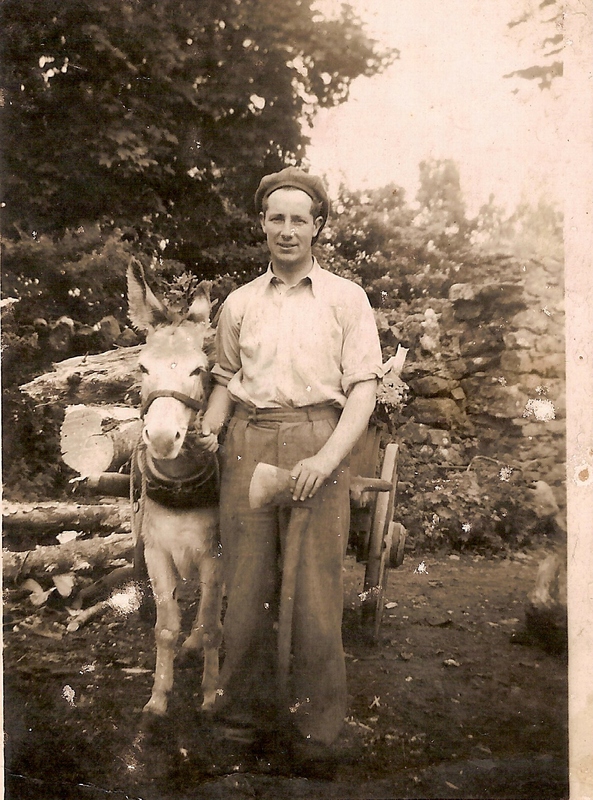 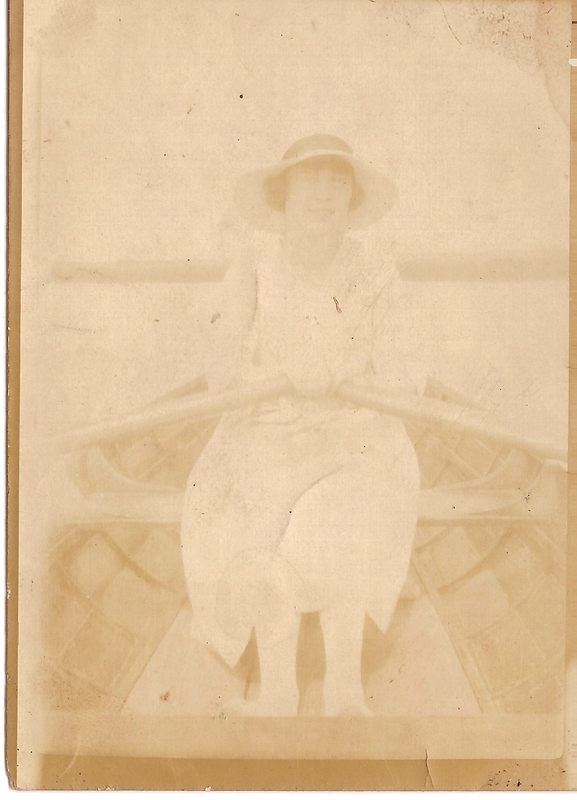 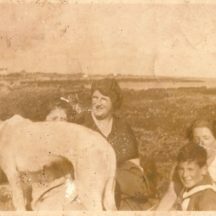 We would be delighted if anyone can identify any of the photos. 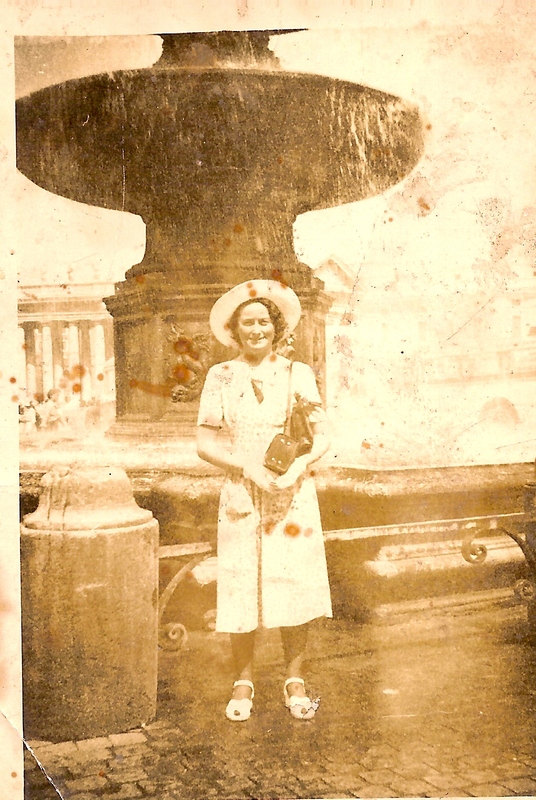 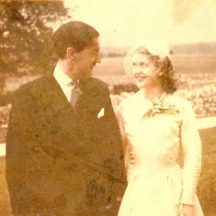 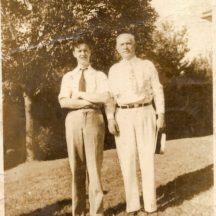 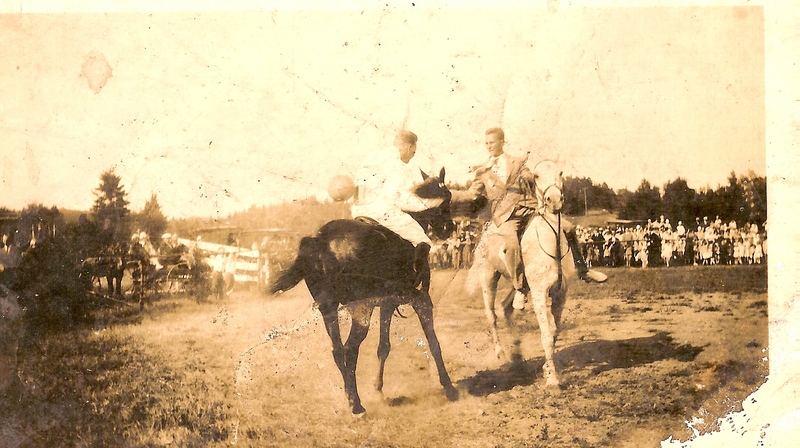 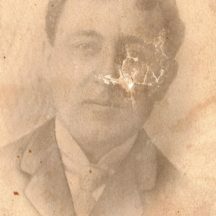 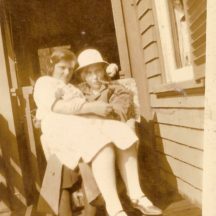 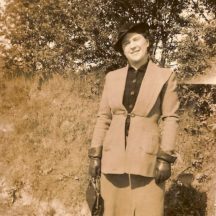 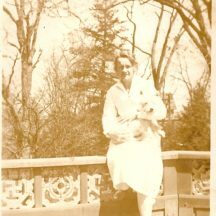 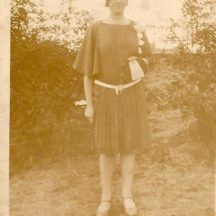 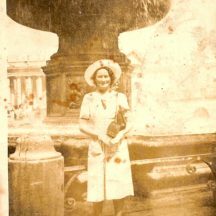 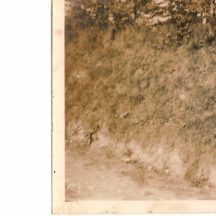 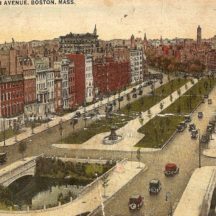 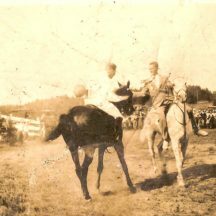 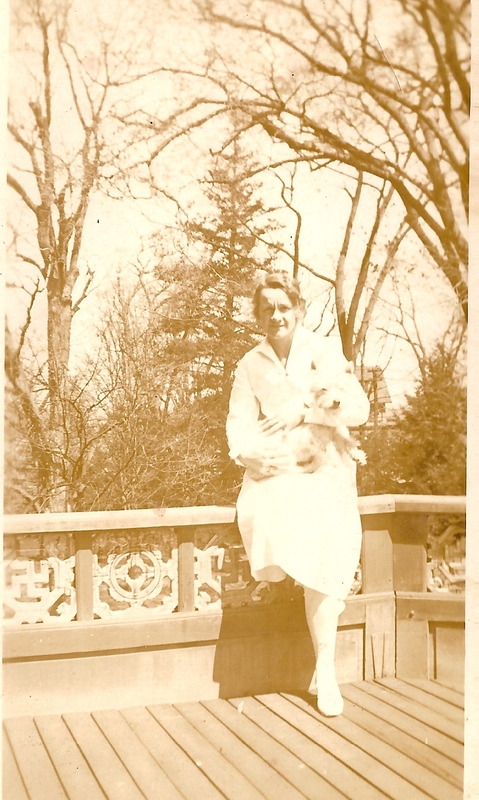 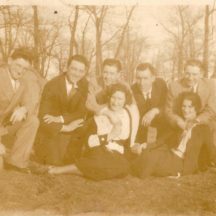 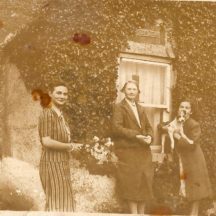 We would really appreciate your help in identifying any of the photos and providing any further nformation you may have about the photos. 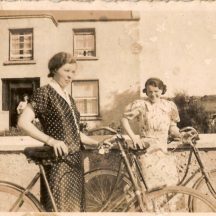 Enjoy the trip down memory lane even though you may not know the people as they are evocative of a bygone era. 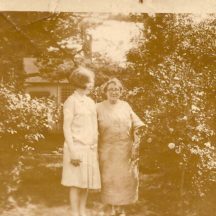 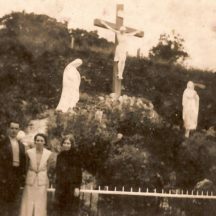 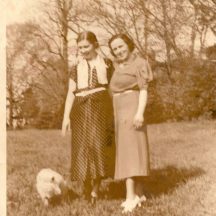 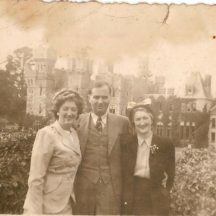 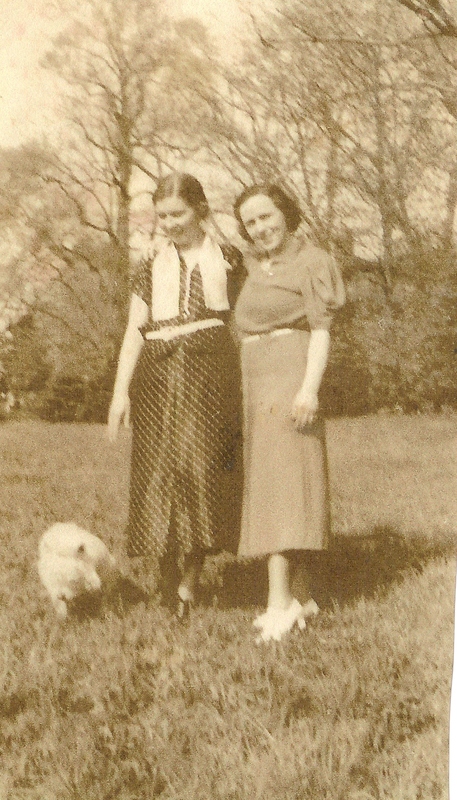 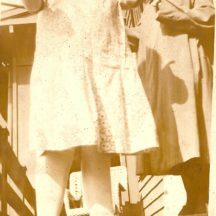 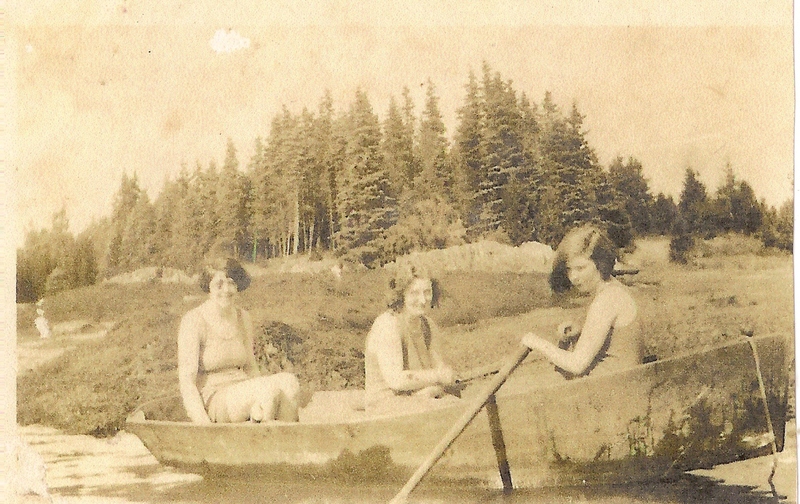 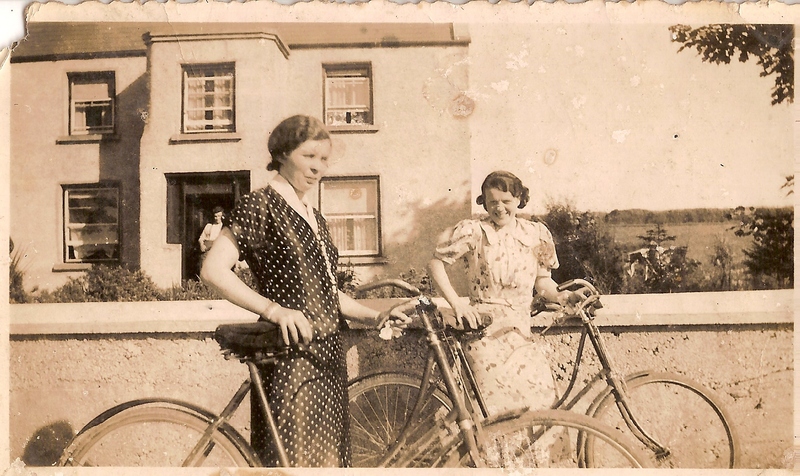 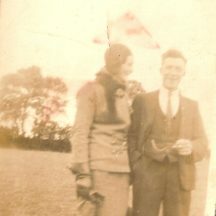 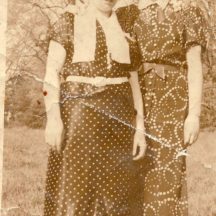 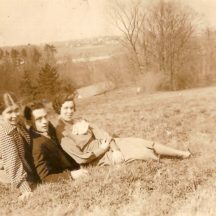 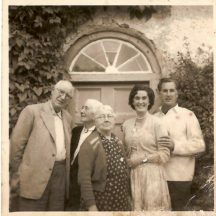 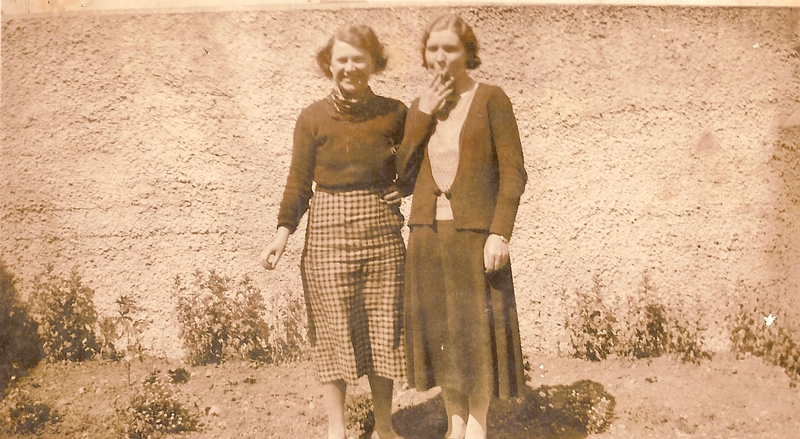 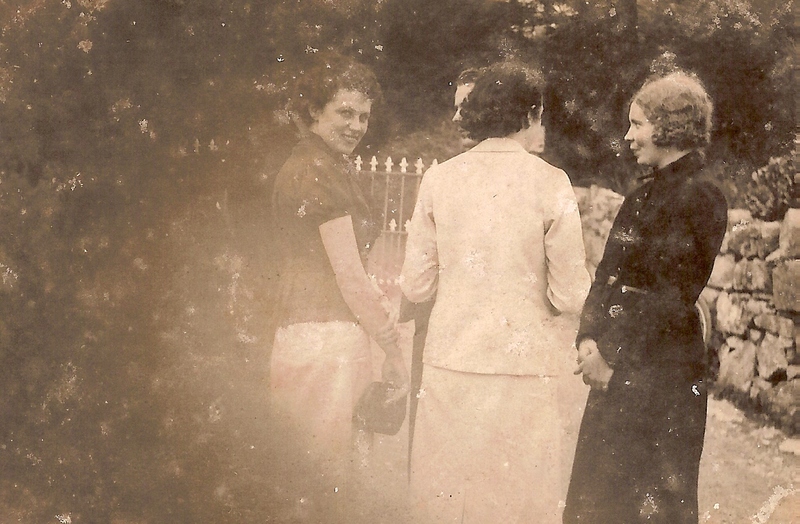 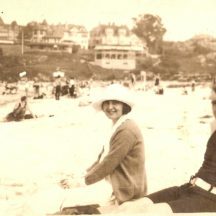 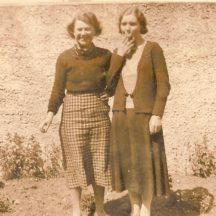 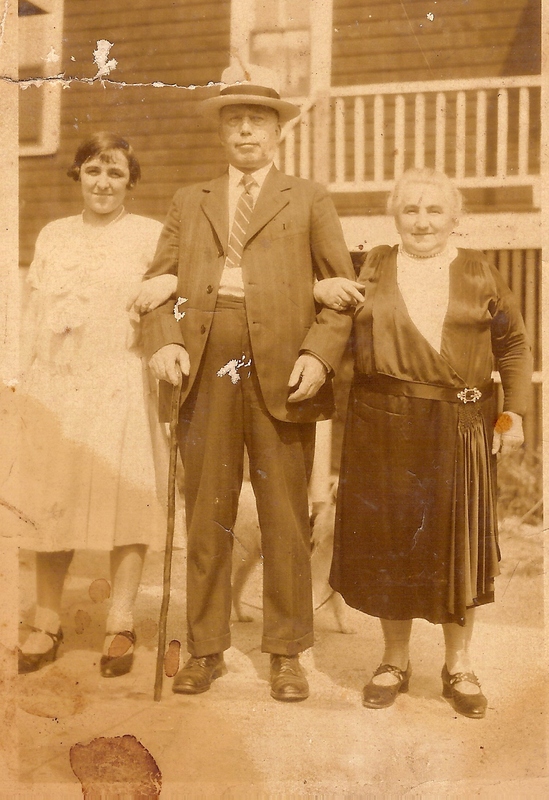 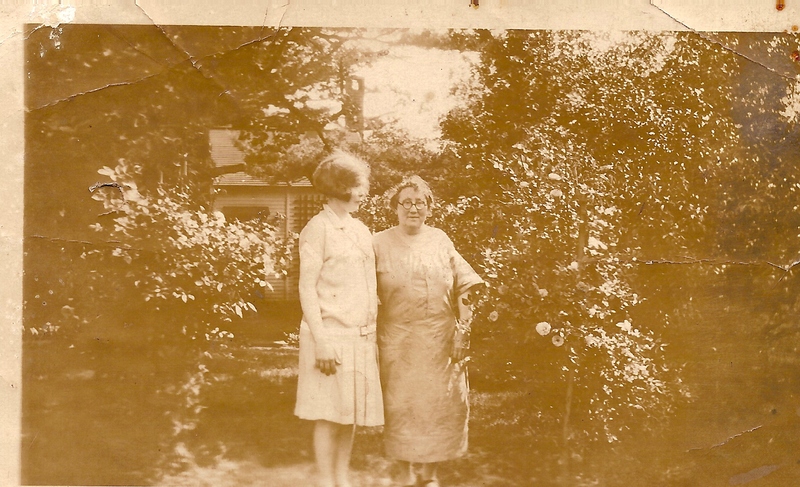 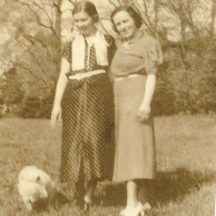 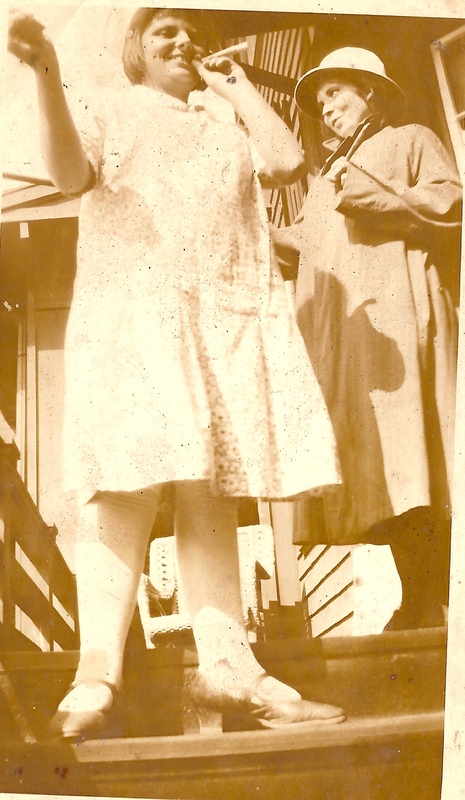 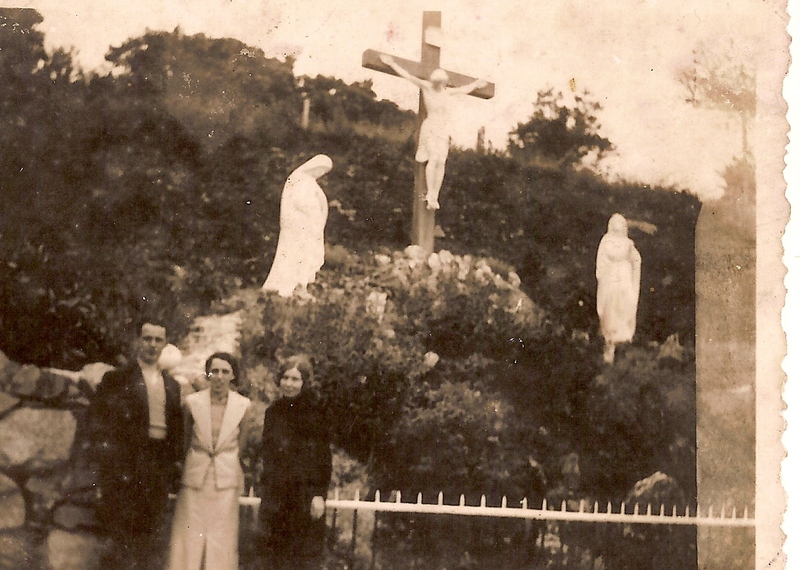 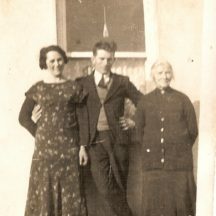 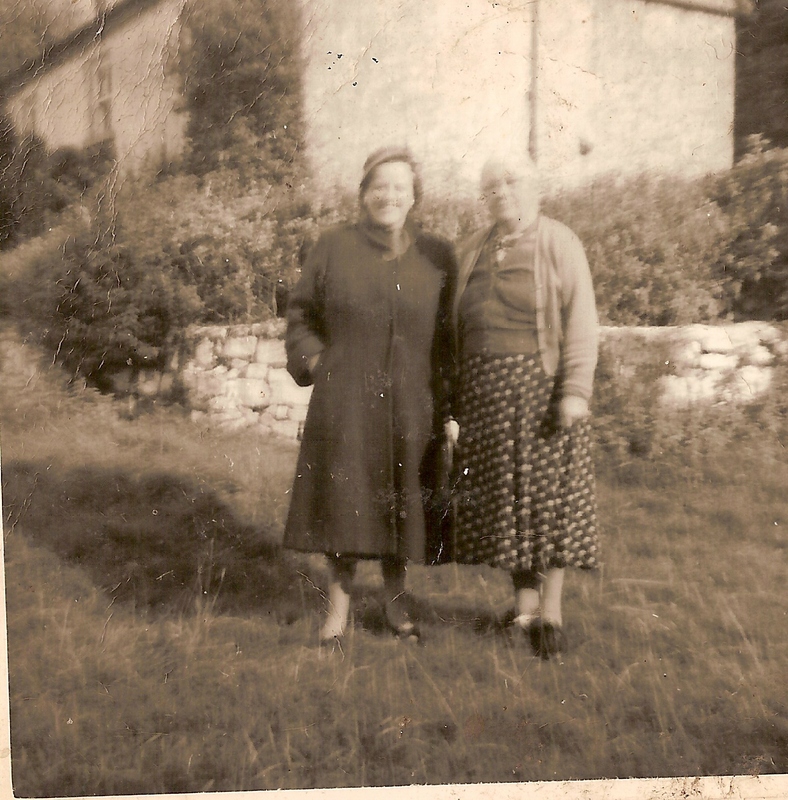 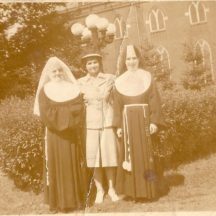 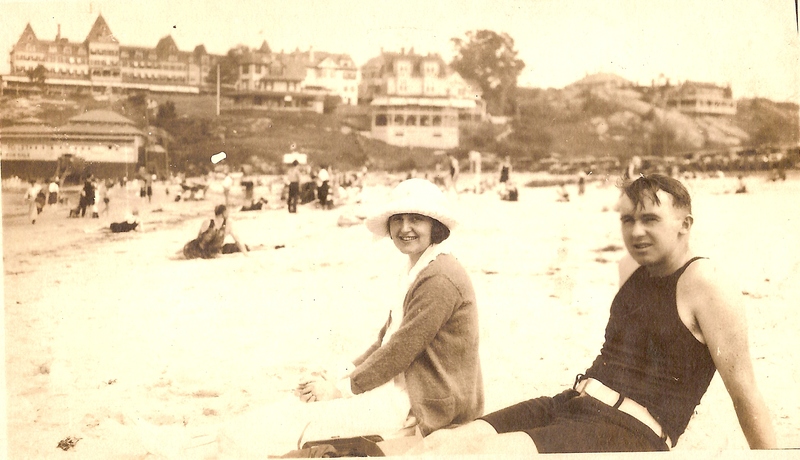 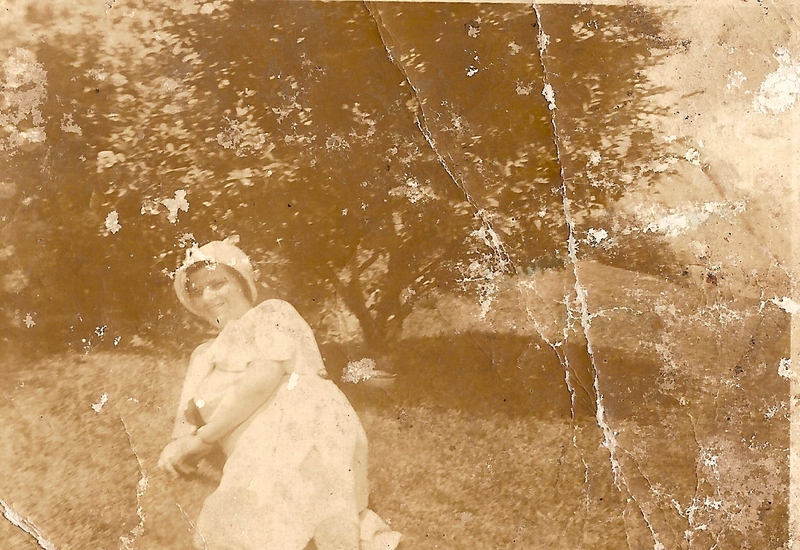 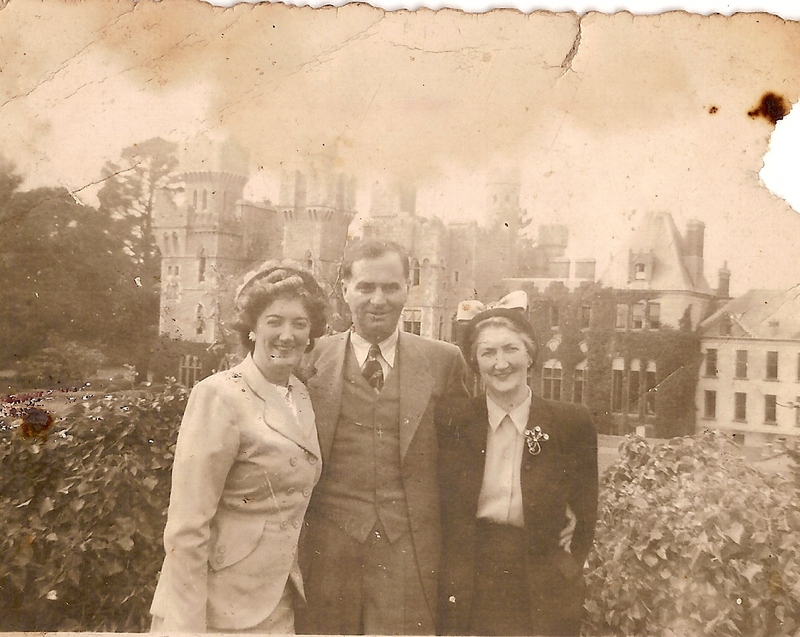 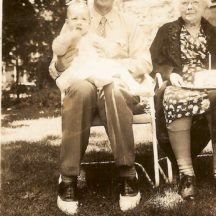 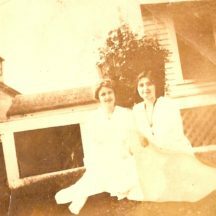 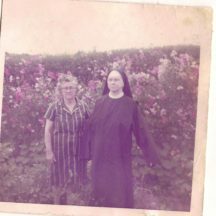 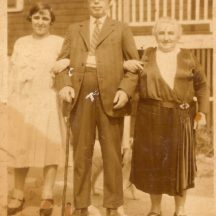 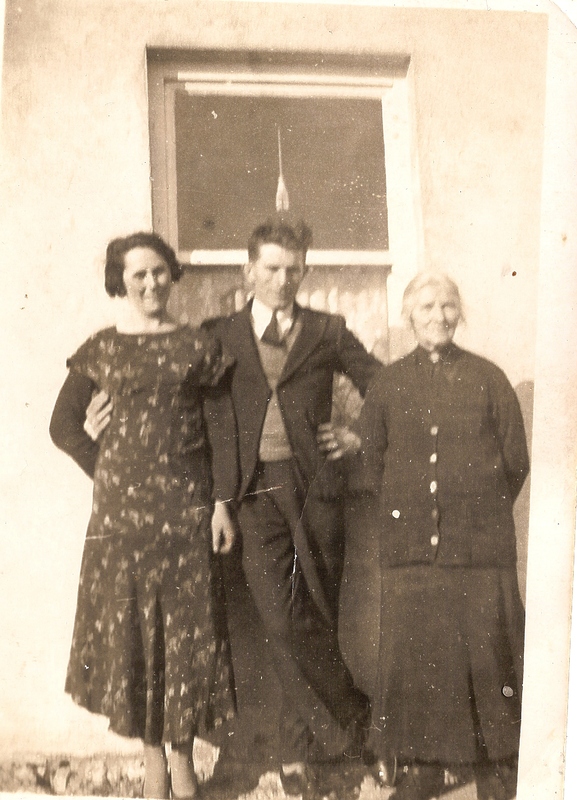 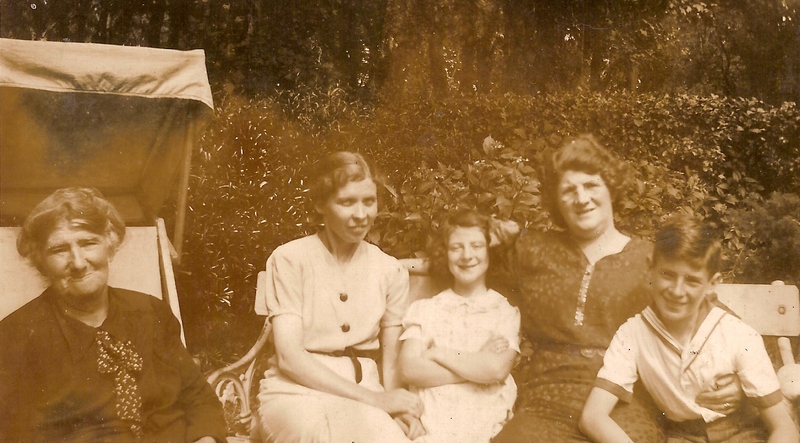 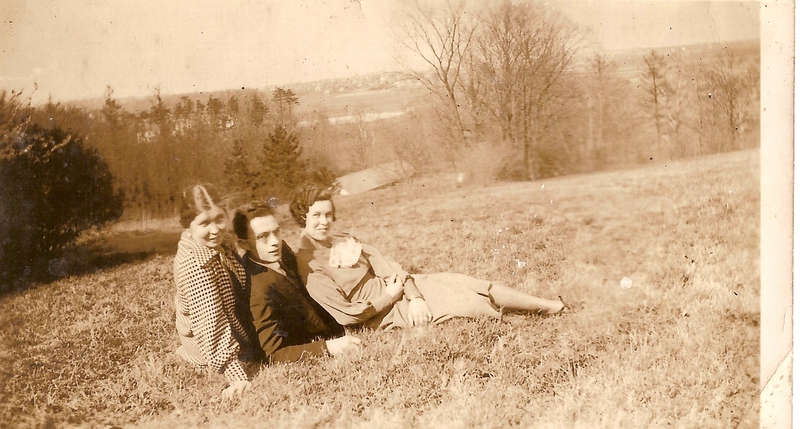 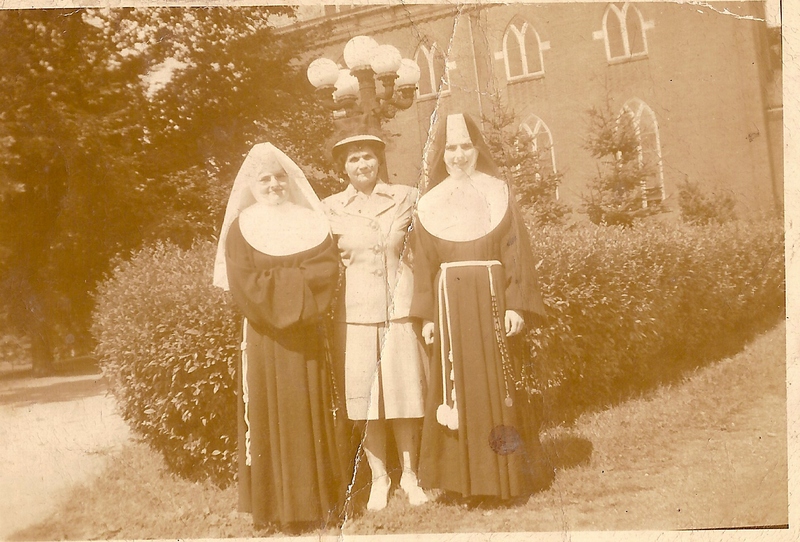 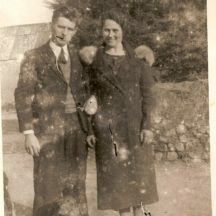 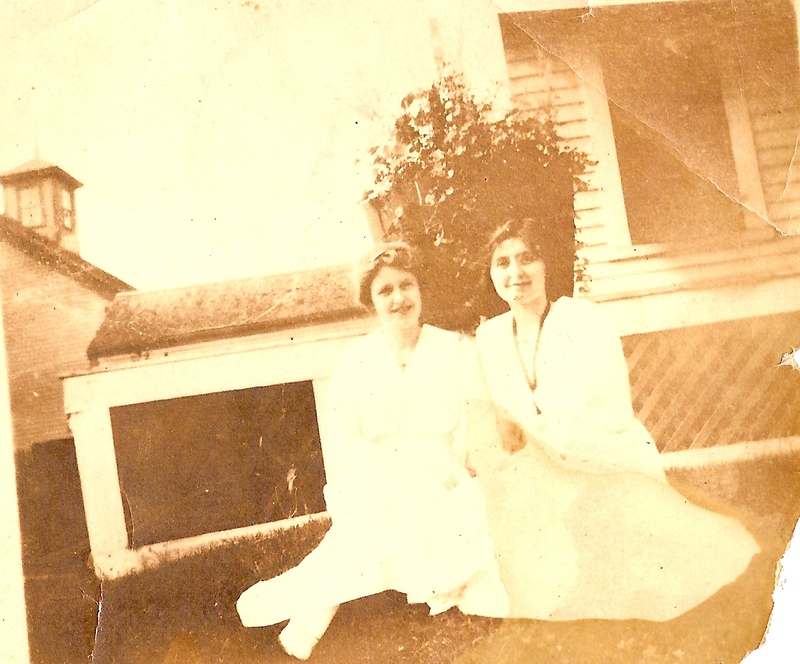 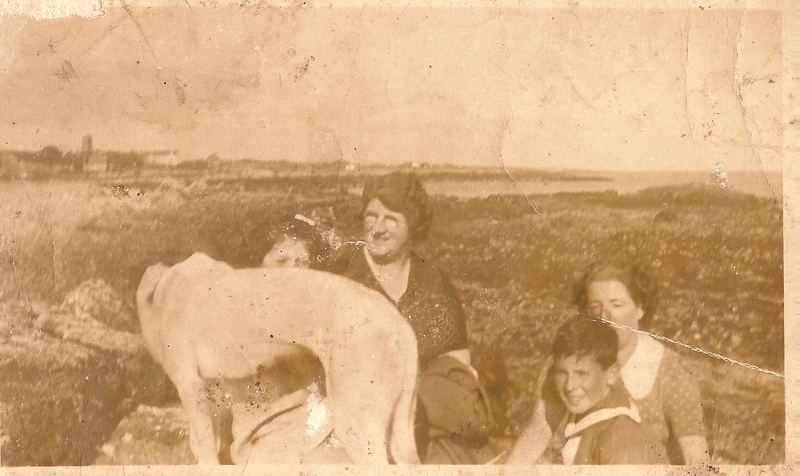 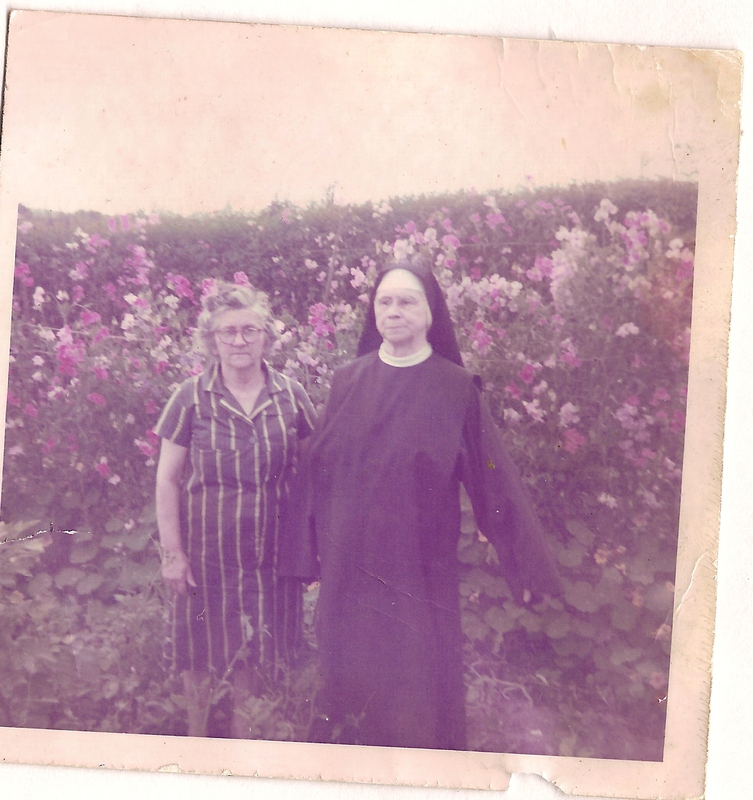 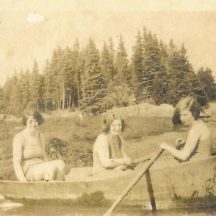 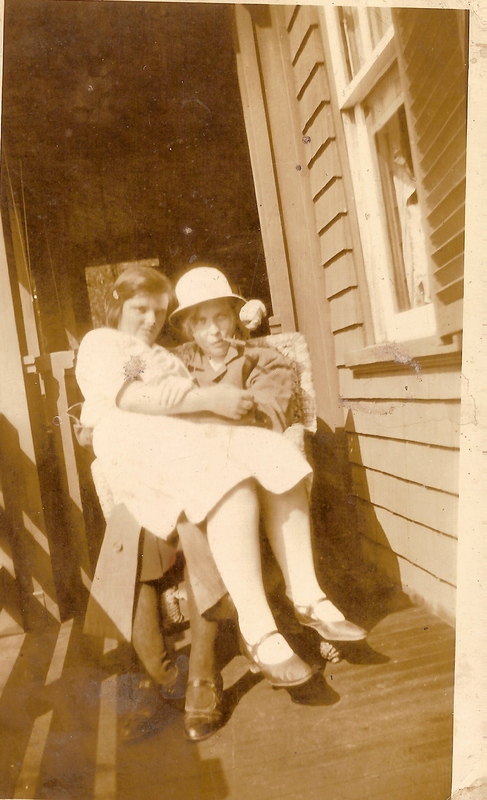 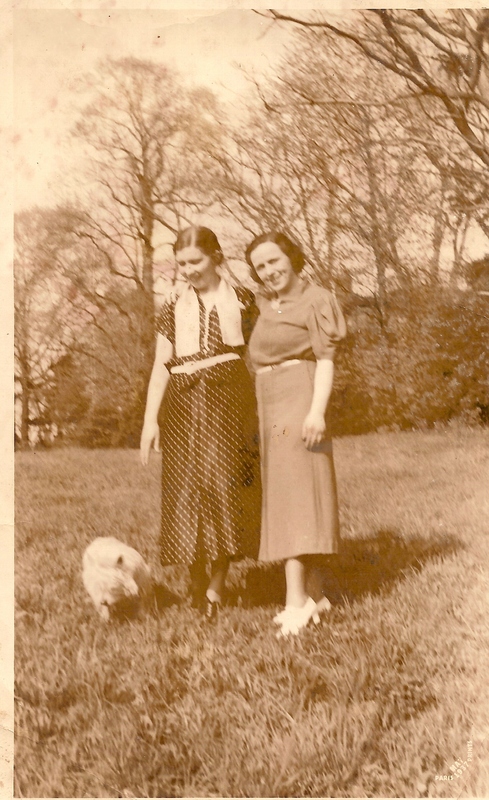 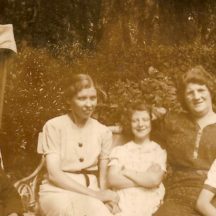 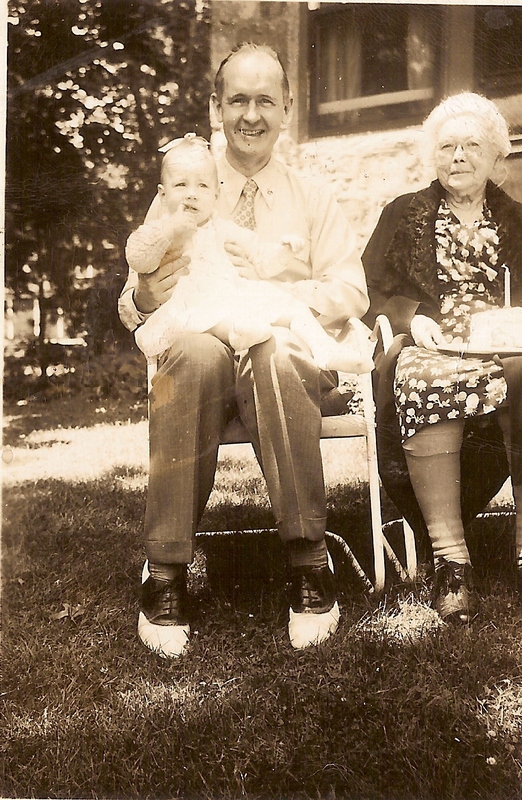 Gerald Mannion, Ellen Mannion and Gerald's mother Mary on right. 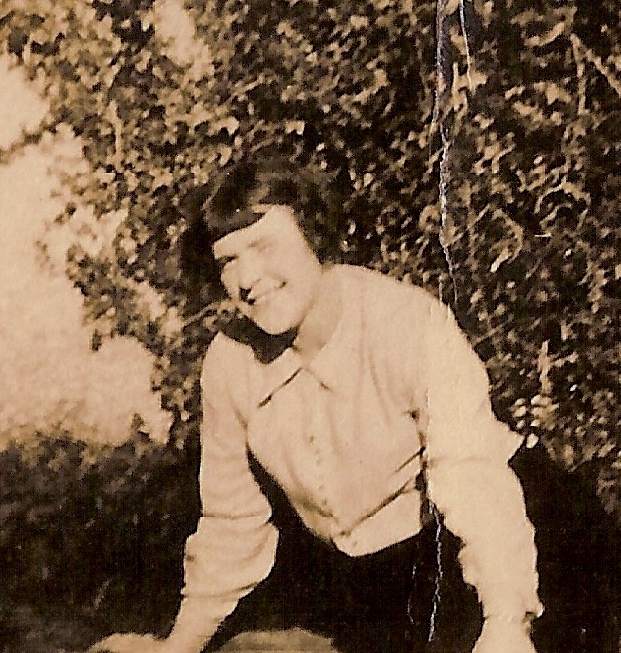 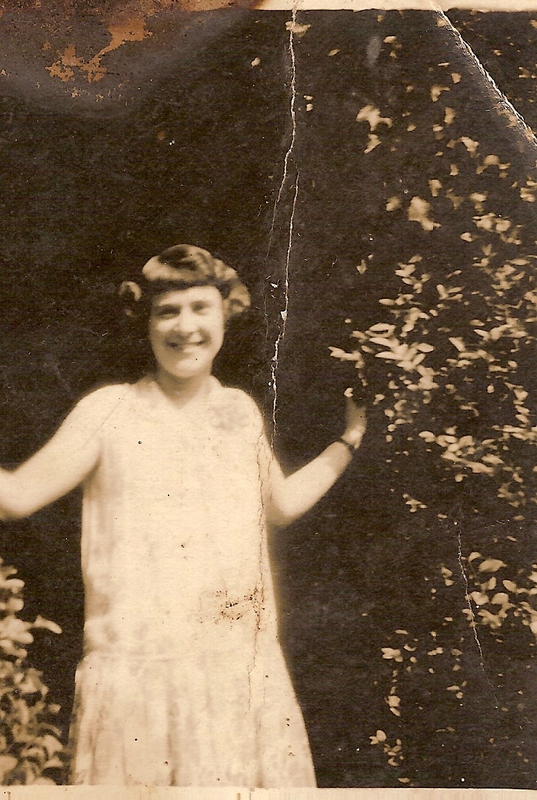 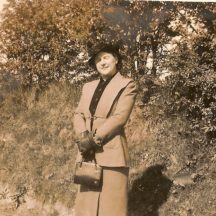 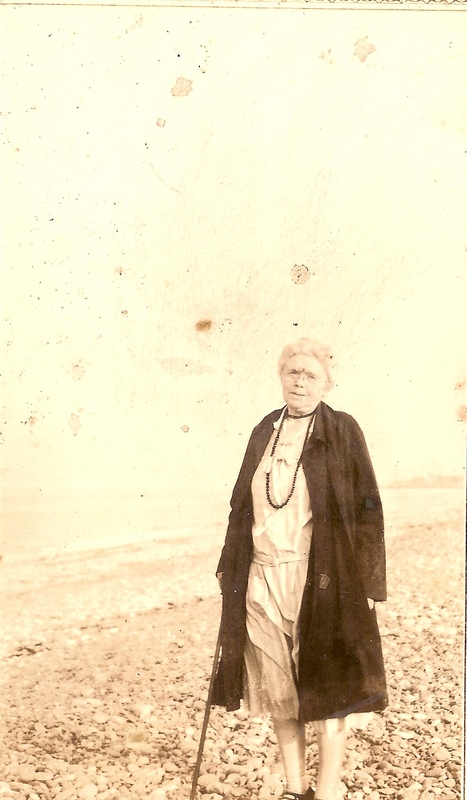 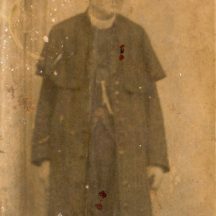 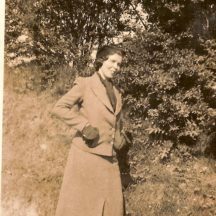 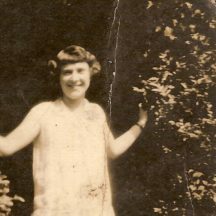 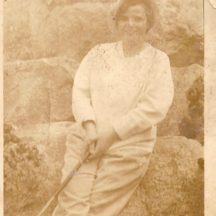 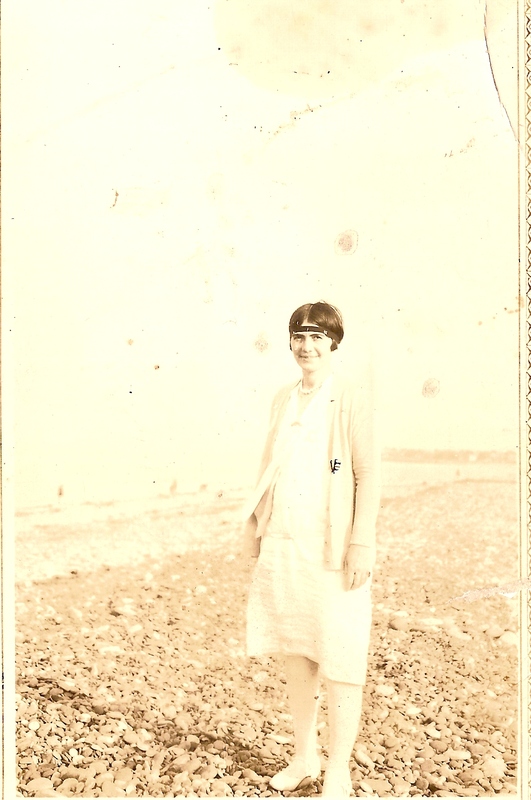 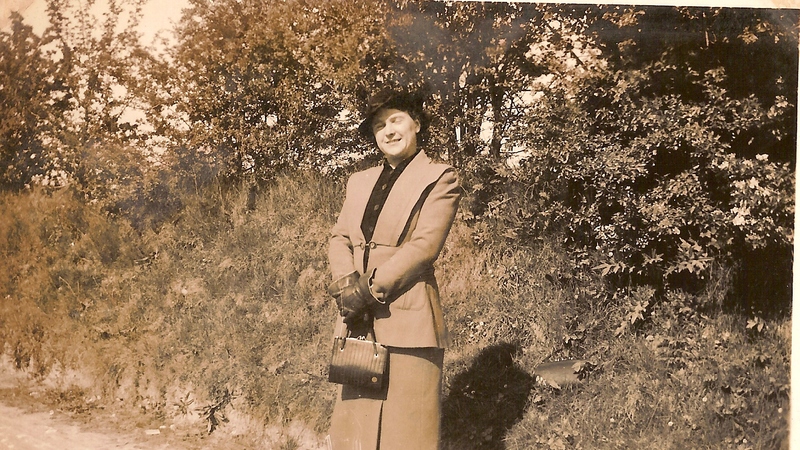 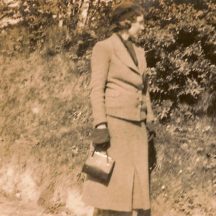 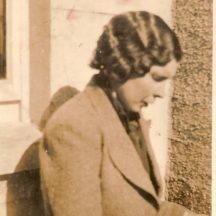 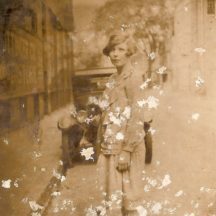 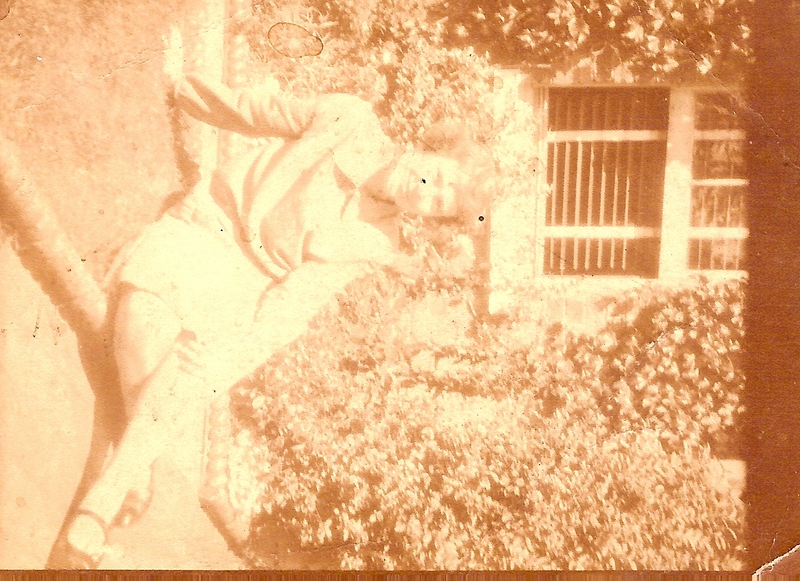 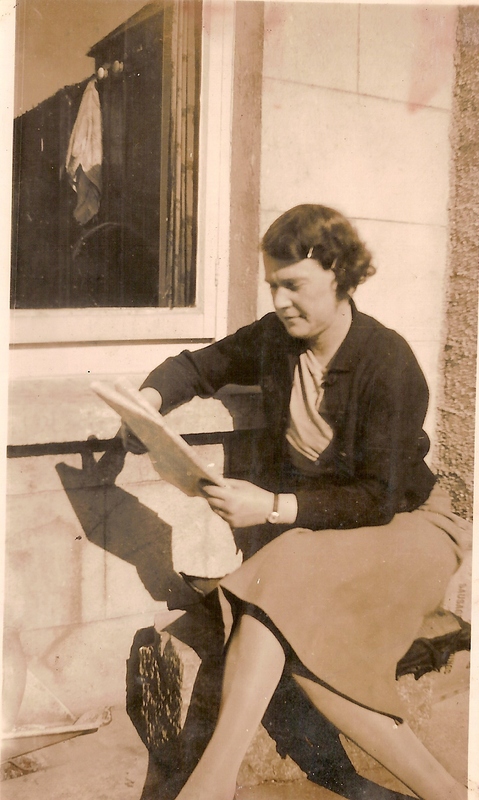 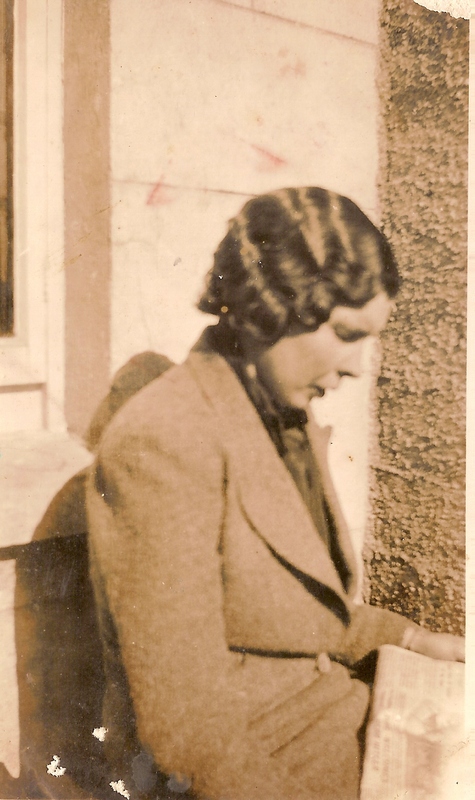 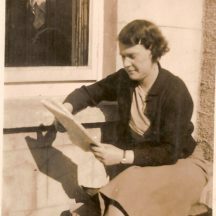 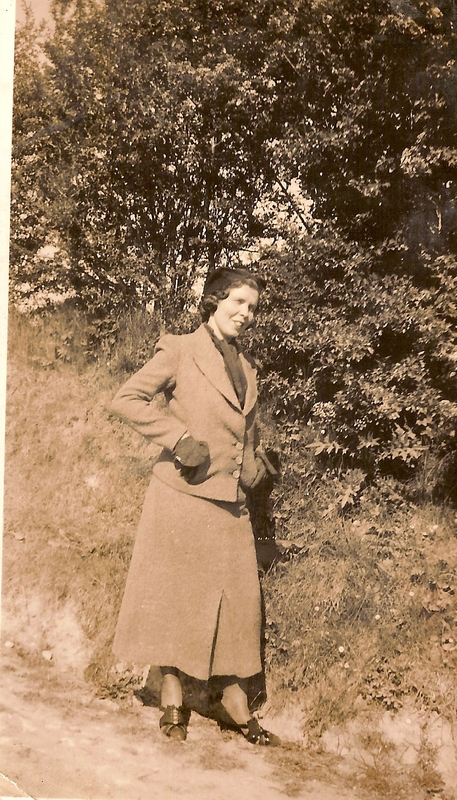 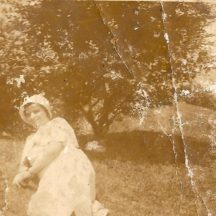 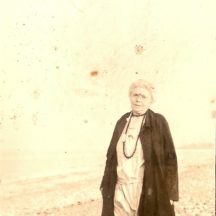 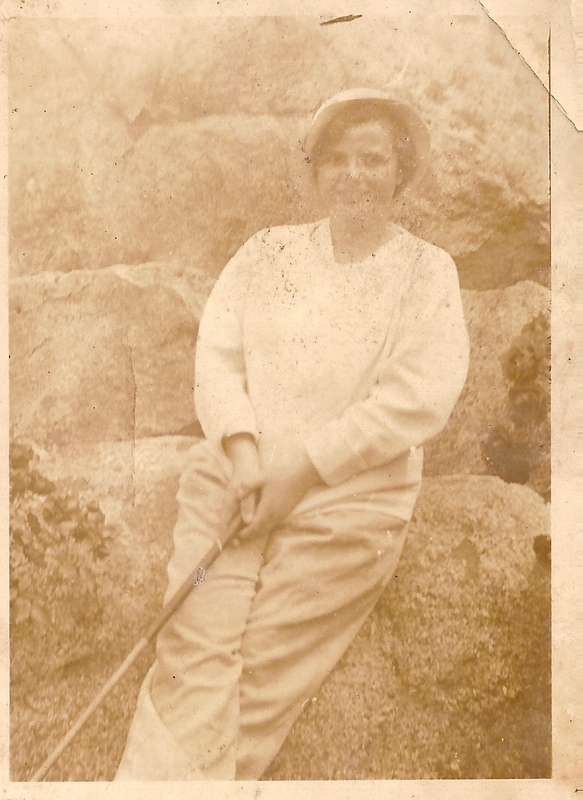 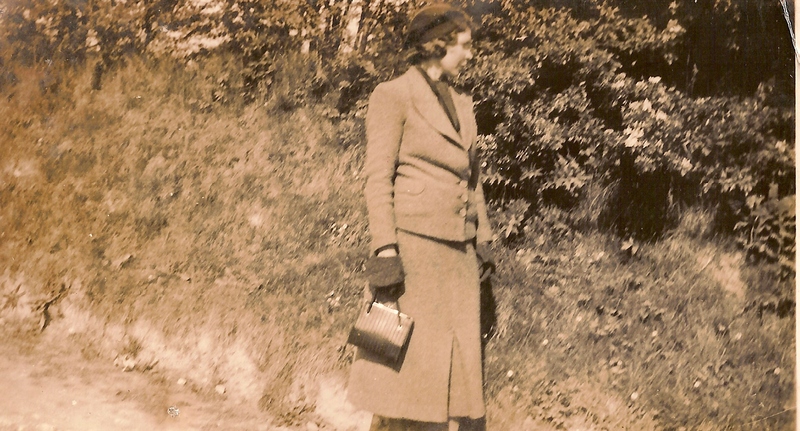 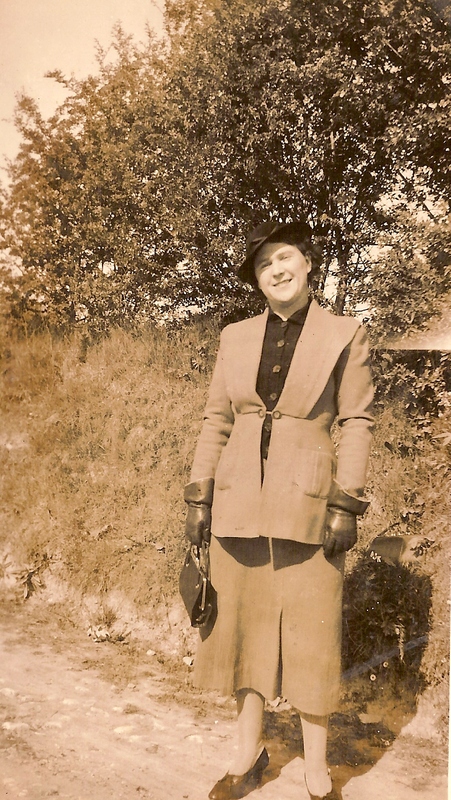 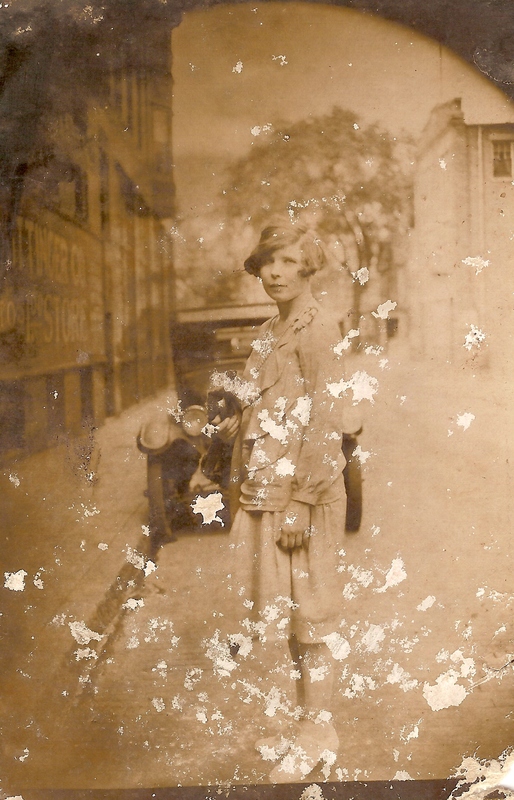 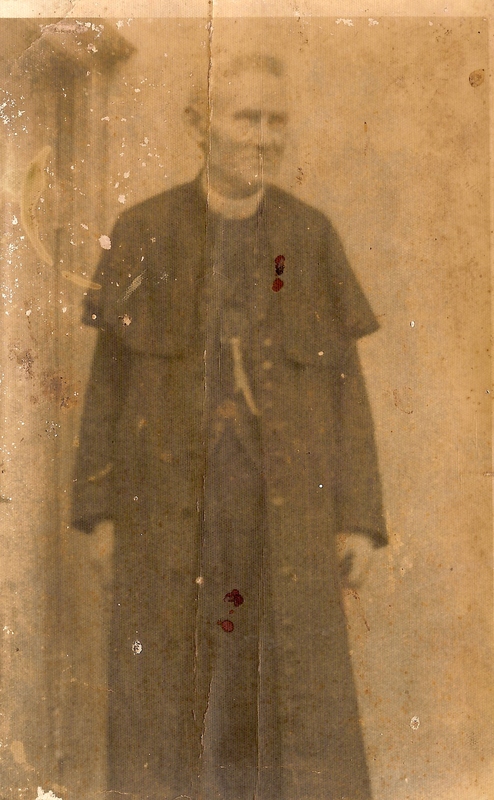 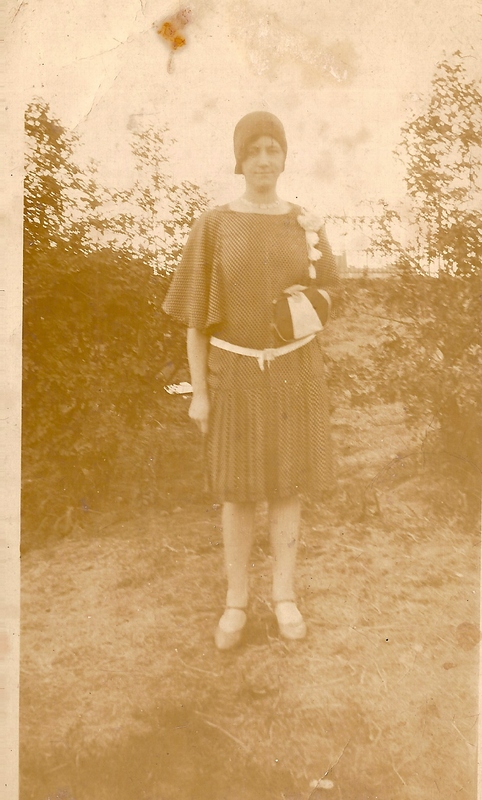 Josie Fagan, daughter of Mary Fagan, who owned the nearby Fagan's shop. 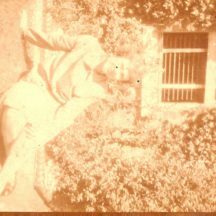 This page was added on 28/11/2018.